So, thanks to the Flash Player 10.1 you will be able not only to see Flash-based banners, but also watch videos and even play Flash games. 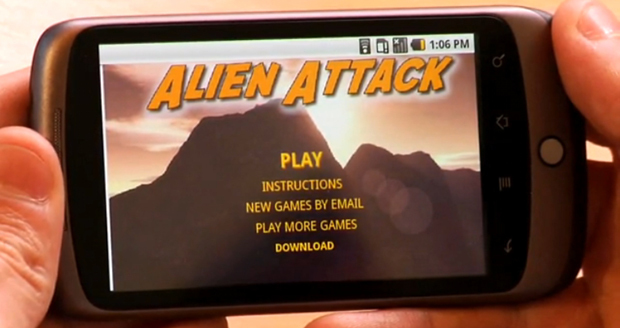 Here is a short video demonstrating how the Flash Player 10.1 works on the HTC Google Nexus One. As you can see, the Flash playback takes full advantage of its zippy Snapdragon CPU. Games and videos are fluid and because of the sensitive capacitive touchscreen display playing games on the HTC Google Nexus One seems quite fun. And while there is still some work on the Flash Player 10.1 and it is unknown when exactly you will be able to get it up and running on your Nexus One smartphone you can enable pinch zooming straight away. You only have to visit the xda-developers’s site and follow the instructions. Remember, as I’ve already mentioned, this isn’t an official Nexus One software update but a patch created by some users of the site so if you’re not sure about what you have to do to enable pinch zooming, you’d better do nothing.